Fast cars, six four full of muscles. Who can sport a tough look better than Dwayne ‘The Rock’ Johnson. 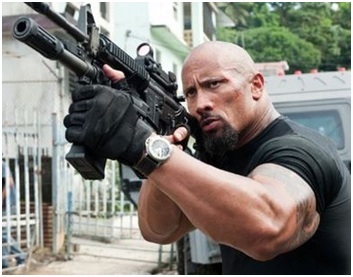 Sporting the Panerai Luminor Submersible in the adrenalin packed movie Fast Five, Dwayne shows how meticulous and tough he is. The watch comes with dual sapphire which protects the watch from scratched and of course, the rough and tough nature of the people champ –The rock!